Investigators say the man shot the dogs because he believed they were endangering his sheep. Bill Bock’s children were in tears when he finally told them the news. 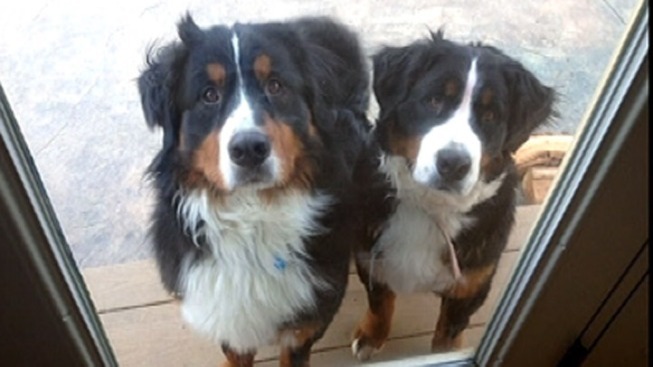 Their beloved Bernese Mountain Dogs, Argus and Fiona, were dead. But it’s the way in which those dogs died that has created a great deal of tension in the community of Chester Springs, Chester County, according to those who live there. The 2- and 1-year-old dogs escaped from their fenced backyard last week and wound up inside a neighbor’s fence where they came face to face with a group of sheep. It was then that police say the owner of the sheep, Gabriel Pilotti, took action. Feeling that his sheep were in danger, Pilotti allegedly fired two rounds from his shotgun, killing the dogs. Stunned, Bock later confronted his neighbor. Another neighbor, Bob Boden, tells NBC10 that a few months ago several of his sheep and llamas were killed by two pit bulls, which Pilotti also shot and killed. Boden insists that situation was much different from the most recent one however. “They were purebred dogs that were just groomed with collars on, and $1,000 apiece and you know they’re pets,” said Boden. Pilotti has not returned calls from NBC10 seeking comment. The law is on his side however. West Vincent Township Police investigated the case and referred it to the District Attorney’s Office. The District Attorney determined that no charges should be filed because Pennsylvania law states that you can kill a dog if it’s caught in the act pursuing a domesticated animal, like sheep. Bock tells NBC10 he feels the law is too generic and hopes his family’s loss can shed light on changes that can be made.